Democrat Darlene Kloeppel (L) and Republican Gordy Hulten (R) appear at a Champaign County Executive candidates' forum in Champaign on Sept. 21st. This fall, voters in Champaign County are choosing their first county executive. The holder of this new elected office will preside over county board meetings, and be the day-to-day manager of county government. Before we meet Gordy Hulten and Darlene Kloeppel, the two candidates running for the post, it’s useful to get an idea of the county executive’s powers. The year was 2006, and officials in Will County, located south and west of Chicago, were considering a proposal to outsource some of their highway work. The county board’s Republican majority said it would be cheaper for an outside firm to handle the painting of horizontal markings --- like stop bars and school crossings --- instead of having county highway workers do it. But Lawrence Walsh objected. Will County’s Democratic county executive, then serving his first term, said the move would lead to layoffs. The ability to veto county board actions is one of the notable powers available to an elected county executive. 20 states have counties where voters elect a county executive, sometimes called by different names, like county mayor. But in Illinois, only Will County has the post. (Cook County’s county board president is a similar post, but different from the county executive, in that Cook County has home rule powers). But Will County will have company this fall, when Champaign County voters choose their first county executive, the result of a referendum approved in 2016. (Champaign County voters rejected county executive proposals in four previous elections in the 1980's and 1990's). Darlene Kloeppel and Gordy Hulten are competing for election as Champaign County executive. And Hulten, the Republican candidate, said Champaign County has needed a county executive for a long time. Republican candidate Gordy Hulten speaking at a candidates' forum in Champaign on September 21. “I think it’s necessary because the county board has for decades, under the leadership of both parties, sort of struggled to make decisions in a common-sense, forward-thinking way, and instead would constantly find themselves riven by partisanship and by infighting,” said Hulten. Hulten summed up the argument made by the Champaign County Farm Bureau and Chamber of Commerce, who organized a referendum for a county executive in 2016. The proposal passed with backing from local Republicans. But a Democrat was the first to enter the race for the office. That Democrat, Darlene Kloeppel said Champaign County voters are ready for the change. Jim Meadows interviews County Executive Candidate Gordy Hulten (R) about his approach to this new office. 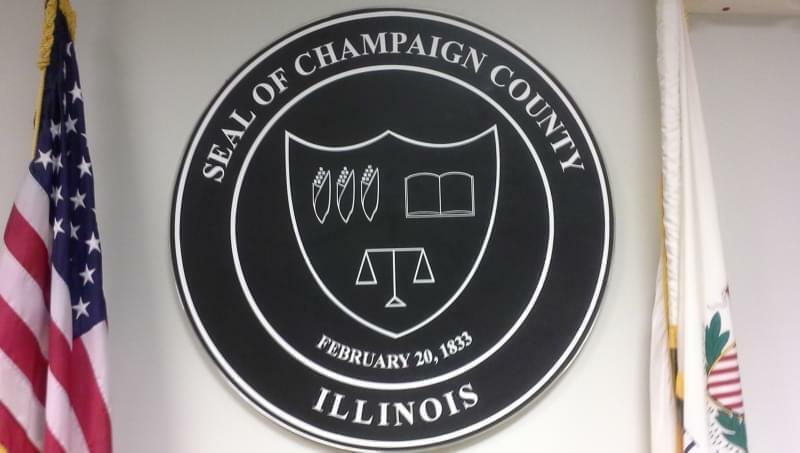 Up to now, a county administrator has run Champaign County government day to day. But that administrator is hired by, and answers to, the county board. Champaign County’s new county executive will be elected by the voters, like a governor of a state. Gordie Hulten said if he’s elected, one of his priorities will be to strengthen county finances. He said those finances were damaged by the county’s money-losing nursing home. And now that the nursing home is being sold, Hulten said he wants to set those finances straight. Darlene Kloeppel said one of her focuses as county executive would be on Champaign County’s long-term planning. She said, the county’s planning process needs to be reorganized. Kloeppel wants a process that plans ahead for all parts of county government, six years at a time. Jim Meadows interviews County Executive Candidate Darlene Kloeppel (D) about her approach to this new office. Kloeppel and Hulten also share goals in common, like adding mental health and drug treatment facilities to a consolidated county jail, and having an independent commission draw the next county board district map. To work toward such goals, the Champaign County executive will have the veto power mentioned at the start of this story, but also the power to break tie votes, and propose budgets. Supporters of the office say those powers, plus a mandate that comes from being elected by the voters, should lead to decisive action, where a politically divided Champaign County Board has held back. But has it worked out that way in Will County? Not according to Will County Board Speaker Jim Moustis. 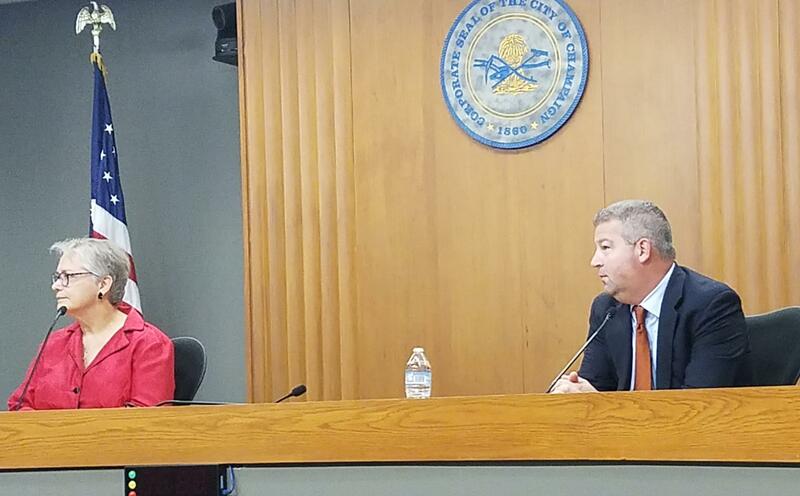 “Things are not any more decisive (in Will County government) because there’s a county executive there,” said Moustis, whose position is analogous to that of a county board chairman. The Republican Moustis is not a fan of the office of county executive. Moustis said county executives in Will County have had a tendency over the years to try to horn in on the county board’s legislative work. At the same time, he said the county executive’s supporters in Champaign County may be overrating the powers of the office. But the candidates for Champaign County executive are claiming another, albeit unwritten power for the office. That is the power of the county executive to essentially schmooze the county board, and persuade them to work with him or her towards common goals. Darlene Kloeppel said she believes the change in status quo caused by the county executive’s post will be challenging for county board members. But she argued that her work in the past with executives during the merger of regional hospital systems into Provena Health gave her valuable experience in helping people manage change. Democratic candidate Darlene Kloeppel speaking at a candidates' forum in Champaign on September 21. Both Kloeppel and Hulten noted that it’s not just the county executive that will be new to Champaign County. 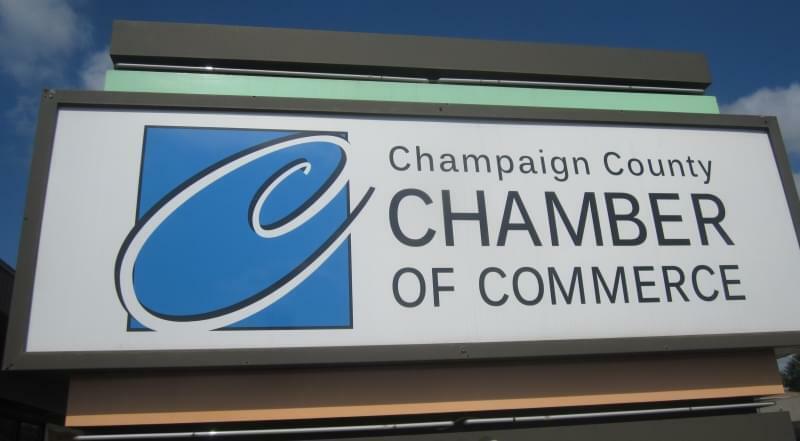 When the new Champaign County Board is seated in December, many members will either be newly elected, or appointed in the past year. Many longtime members are leaving the board, or have already done so. Hulten says the resulting loss of institutional memory might actually help with the transition. Whether the county executive will bring a firmer direction to Champaign County government is still unknown. Republican County Board member Jim McGuire says he was initially wary of the county executive proposal. But now he’s more confident that it will be helpful. 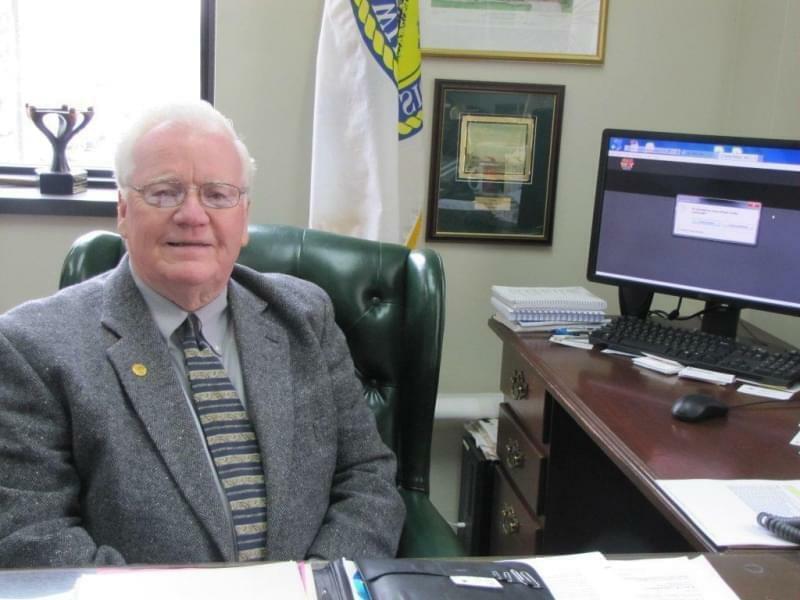 “What (the county executive proposal) gave the voters the opportunity to do is to vote for someone who has an overall agenda for the whole county,” said McGuire after a recent county board meeting. “Sometimes, on this board especially, we have a very diverse group of county board members who represent a diverse group of districts … and they have different views of what they want to see happen.” McGuire says he hopes the county executive elected in November will represent a consensus of voters across the county on the direction they want Champaign County to take. The Champaign County Board has been closely divided, ever since Democrats won a narrow majority on the body in 2000. Currently, their majority is 12-10. Three times since 2000, Democrats have split over their choice for county board chair, with a handful of Democrats joining with Republicans to elect an alternate Democrat to the post. 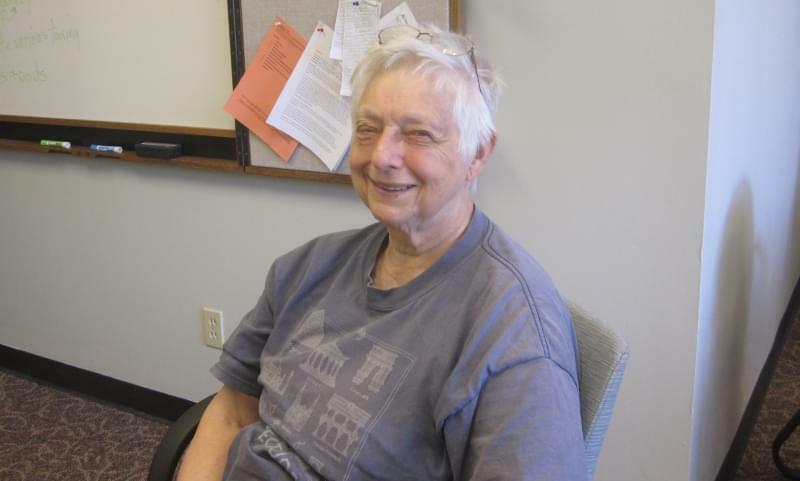 The first of the three was Barb Wysocki of Urbana, who served as county board chair in 2004-06. Wysocki says she hopes to be “pleasantly surprised” after the election by cooperation between the county board and the new county executive. But she says things could easily go the other way. 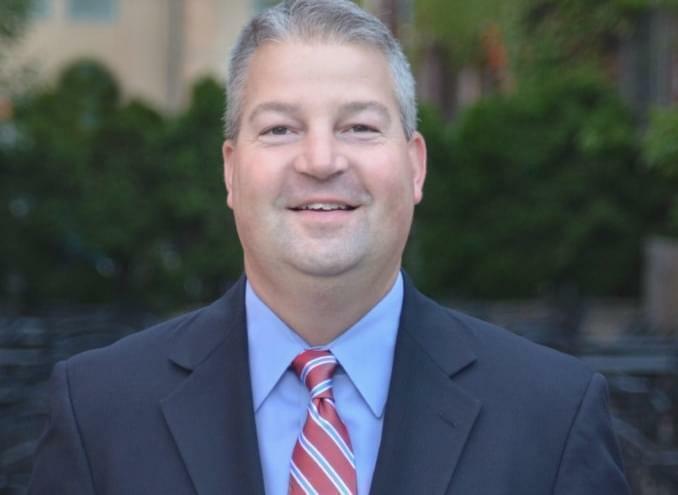 Another Democrat who was elected as county board chair with GOP support says the county executive’s chances for getting his or her way are best if the county board is evenly divided, or nearly so. Pattsi Petrie of Champaign, the county board chair in 2014-16, says an “institutionalized political split” on the county board has led to ineffective decision-making. She says if that continues after the election, the county executive would become the decisive factor in Champaign County government. Negotiations and cooperation are also the recommendation of the county executive in Will County. Despite once getting his way with a veto threat, Lawrence Walsh says it’s best if the county executive and county board can work together.